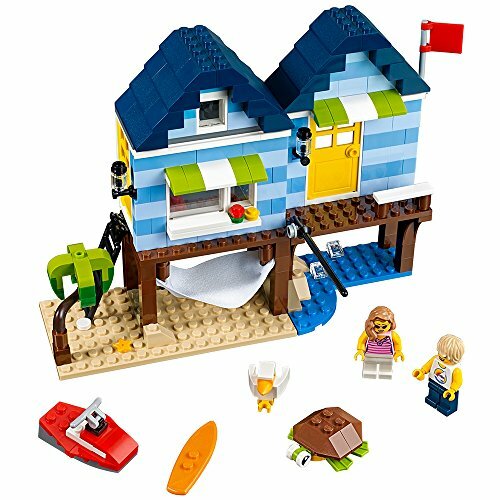 Pieces: 522Build a house on the beach!Need to get away? Relax in your very own beach house! This colorful building is packed with fun and realistic details, from the big sunlit windows to the barbecue and umbrella.Includes instructions for rebuilding into a cozy café or towering apartment building!Second floor lifts off to see stairs and fireplace on the first floor!Second floor has a balcony and a skylight that opens!Outside there is a patio with table, umbrella and chairs, and even a barbeque grill with chicken!Realistic details include mailbox, doorbell, flowers, walkway, light fixtures, chimey, tree and lots of windows!Beach House stands over 6½" (16.5cm)high and includes a 5" x 10" (13cm x 25cm) baseplate! 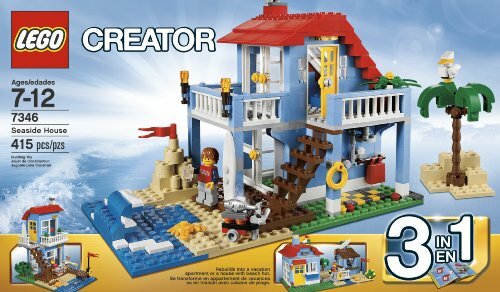 Enjoy summer adventures with this sunny beach house, featuring a blue-striped color scheme, two large windows with green-and-white awnings and yellow door, plus a detailed interior with an armchair, fish tank and a ceiling fan, and exterior details including a hammock, palm tree and a beach and ocean area. Also includes a buildable water scooter. 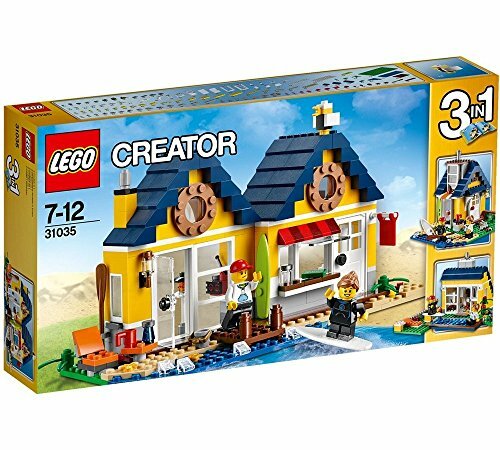 Rebuild this 3-in-1 LEGO Creator 6175254 building toy into a beachside shop or a boatside Harbor. Includes two mini figures, plus a buildable sea turtle and seagull. Enjoy a wealth of summer activities with the Poolside Holiday set, featuring a house with a red and tan color scheme, rooftop terrace with flowers and barbecue, and a garden area with trees, greenery, swimming pool and a table tennis table with rackets. Interior details include a guitar amplifier, flat-screen TV and a sofa. 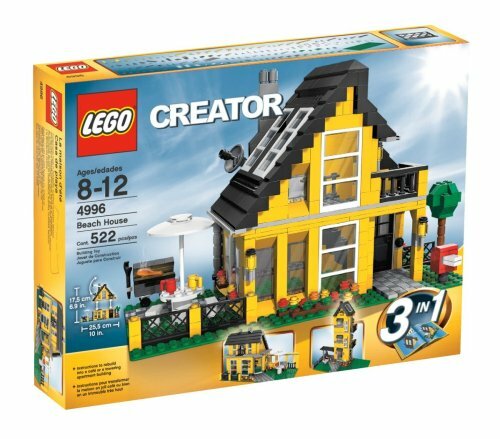 Mix and match the buildable modules to create a rooftop pool or a rooftop garden, and easily swap the window, door and other modular sections to customize the house with the new-for-June-2017 LEGO Creator modular system. 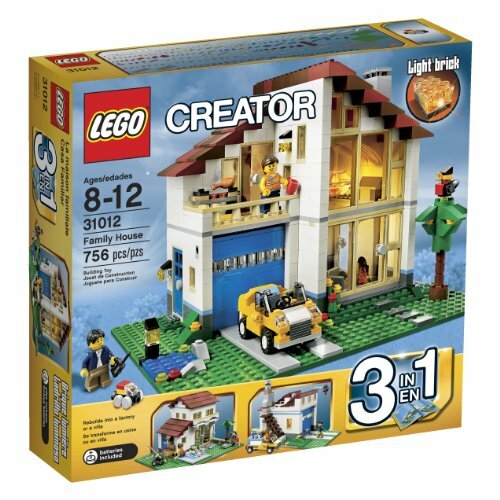 Combine this set with the 31068 and 31069 modular-system sets to create a dream house with endless build and play opportunities! 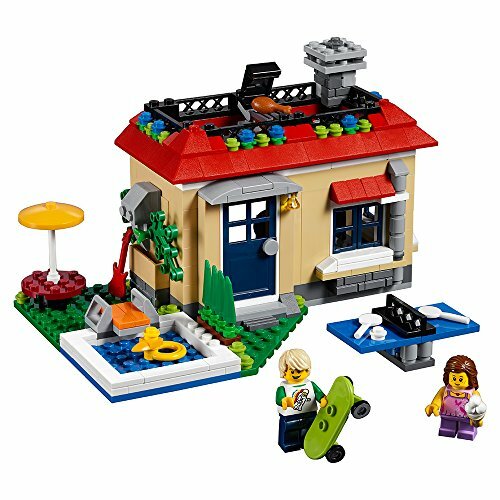 This 3‑in‑1 LEGO Creator model can also be rebuilt to create a Skate Park Holiday or a Music Garage Holiday. Includes 2 minifigures. 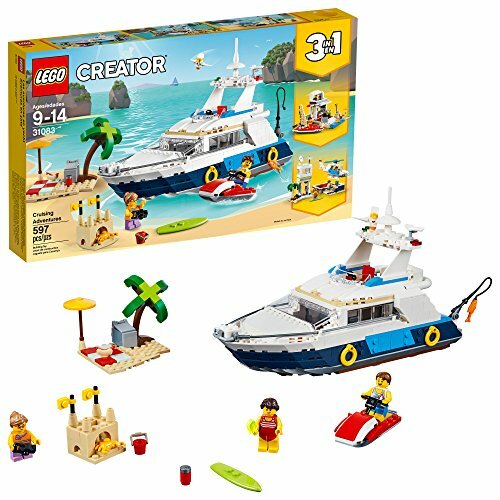 Head for sunny shores with the LEGO Creator 3in1 Cruising Adventures set, featuring a luxury yacht with a cool blue and white color scheme and an array of realistic details, including a radar and an accessible cabin with toilet. The yacht also features 4 hull-mounted life preservers and comes with a water scooter, surfboard, fishing rod, palm tree and a sandcastle. 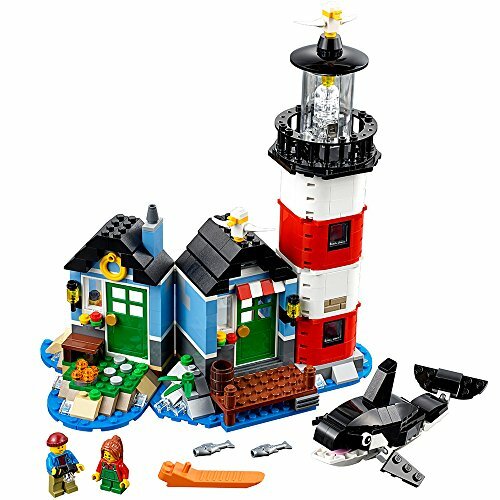 Rebuild this set for whole new adventures featuring a cozy Beach House with a dock and sailboat, or a Helicopter with a landing pad and control tower. Includes 3 minifigures, all ready for fun and adventure. 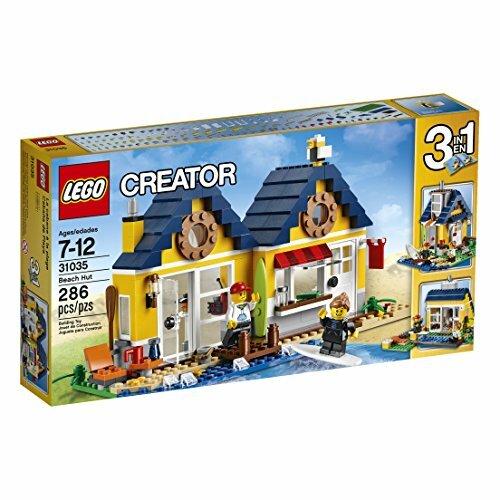 Shopping Results for "Lego Creator Beach House"